At the front drive or roll car onto a plank to give you clearance for the jack. Consider a low entry jack (eg Clarke) if you intend doing lots of front end work. Draper do an inflatable bag jack. You might want to invest in one for puncture underway. No good when engine does not work as driven by exhaust gases! 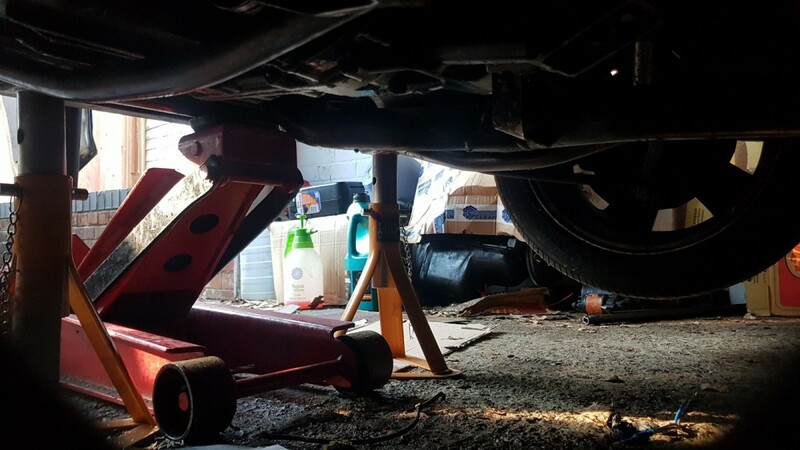 And never rely only on a jack if any part of you will be under the car like a dropped wheel nut - retrieve it with a stick.
. Get some axle stands. 1 to 2 tonne rating is fine for a little Polo.